Welcome to our updated website! 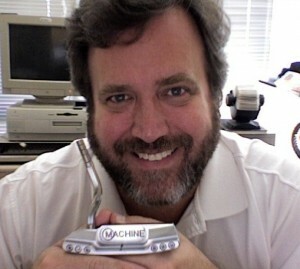 My name is Dave Billings, and I am a golf club designer, inventor, maker and all around equipment junkie. I have been designing golf clubs and inventing golf club technologies since I was 13. I have worked in the golf industry for 25 years, and worked for or with some of the top equipment companies in the world, down to fledgling start-ups, and virtually everything in between. Dogleg Right was founded in 1994 with one of my life-long friends, and then expanded with the help and support from family and friends, a brave and generous group of investors, loyal suppliers and great customers, and a lot of hard work, persistence and perseverance by everyone. It has truly been a team effort. In the past eighteen plus years, we have lived the full range of experiences and have had many blessings. 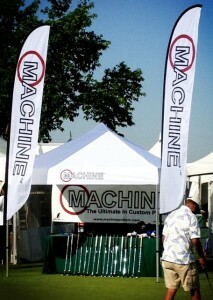 From Hall-of-Fame golfers using our innovative designs at the Masters; to breakthrough wins for professional players who credited our designs as helping make the difference in their games; or to the personal satisfaction reading a letter from a passionate golfer who found a new joy in owning a piece of equipment that helped revive their enthusiasm and enjoyment of the game. One challenge is a constant for me: always striving to do better, to improve and move forward. For me, this challenge and opportunity has led me full circle, in many ways. My first golf club designs as a teenager were pretty wild, with rocket-assisted power, and numerous other crazy ideas unencumbered by any knowledge of the stringent Rules of Golf. Yet, today I am striving to offer what those early designs provided: state-of-the-art technology, innovation and increased utility and performance. However, the challenge that I have come to embrace with my new work is achieving these advantages in a traditional and yet creative aesthetic that hopefully appeals to the finest tastes. Trying to improve upon the best is no small challenge, and one that motivates me immensely. The aesthetic aspect has also come full circle for me. You see, I was raised and trained as an artist. I drew before I could walk, poured bronze sculptures as a TA at SMU while still in middle school, and lived in Italy carving marble during college. In art school, you study, practice and learn the techniques used by the masters before you can branch out to find your own style. And now, in my putter design, I still study, practice and emulate the techniques and designs of our masters, including my industry heroes such as Karsten Solheim, T.P. 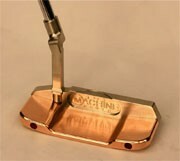 Mills, Ray Cook, Scotty Cameron and many others. I want to pay homage to these pioneers in our special part of the game; I also always strive to put my own creative twists on my work, and hopefully add something to the art. I hope my passion for my work shows in each and every putter we make, whether a production model crafted in our MACHINE Shop, to a personal hand finished ART putter that I work on in my Garage. My goal for this new line is to provide the ultimate combination of tradition, technology, beauty, performance and customization. As we continue to make more and more new MACHINE Putter models, I understand that we are nowhere near reaching these lofty goals. These putters you see here are a product of that journey, and hopefully these examples have their own beauty and history too. Thank you for your time and interest in our work.